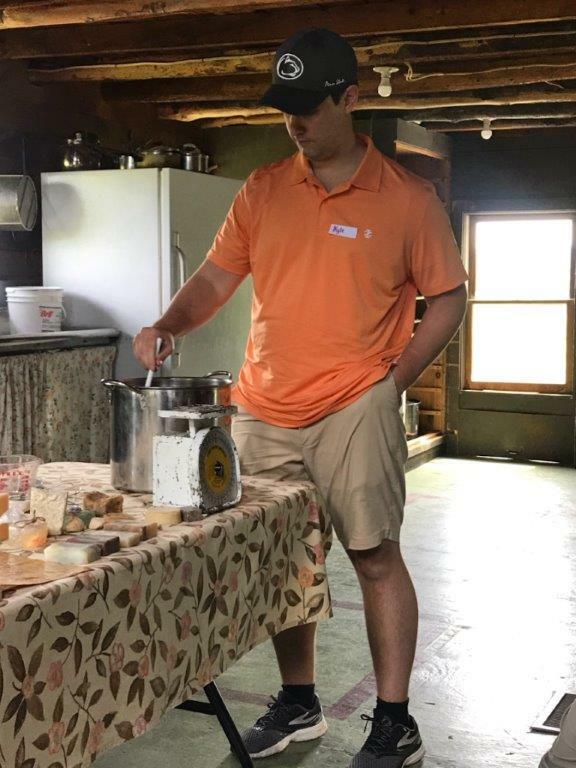 Our program, entitled 5-4-3-2-1: Training Our Senses to Calm Our Minds, was a 5-hour event on a Friday afternoon at Quiet Creek Herb Farm and School of Country Living. 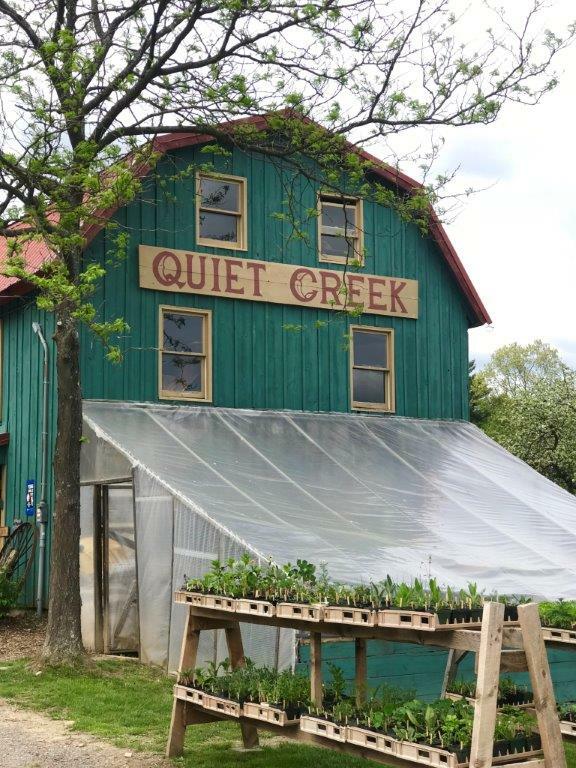 Quiet Creek is a not-for-profit educational facility dedicated to increasing the public awareness of conservation, ecological thinking and healthful sustainable living, located about 8 miles from the residents' continuity of care clinic (quietcreekherbfarm.org). Working with stewards Clair and Rusty Orner, and Claire's sister, Melora McNutt, a certified yoga instructor, we planned an afternoon of reflection, education and stimulation of the senses allowing residents to experience things they have never encountered before. Our day started with an introduction to the Farm and a walk through the herb garden. A whole foods lunch of organic salad dressed with edible flowers and vinaigrette made from farm harvested and dried herbs, duck egg quiche with three types of locally grown/foraged mushrooms, roasted asparagus and Claire's multigrain bread. Our lunch discussion focused on sustainable living, experiencing new tastes and aromas and what expectations we had for the day. Following lunch, we proceeded to the upstairs classroom to spend the next 90 minutes making soap, discussing the history of soap making, understanding what additives to commercial soap can be concerning and what is essential in keeping the body clean. We discussed what adding essential oils and exfoliants could do to the soap and how they can improve our mood and energy levels. During the class, we discussed medicinal uses of herbs and fungi. Following the class, we were able to choose a soap to take home for personal use. After class, we walked to the YURT, a circular building on the farm built and used for housing, classes and meditation. The lighting in the yurt is supplied by a cut-out in the ceiling and was plentiful, thanks to a perfect sun-filled day. Melora guided us on our walk, pointing out the various sights and sounds of the surrounding nature and asked us to keep some of those visions in the forefront of our minds as she guided us through an hour-long yoga practice. 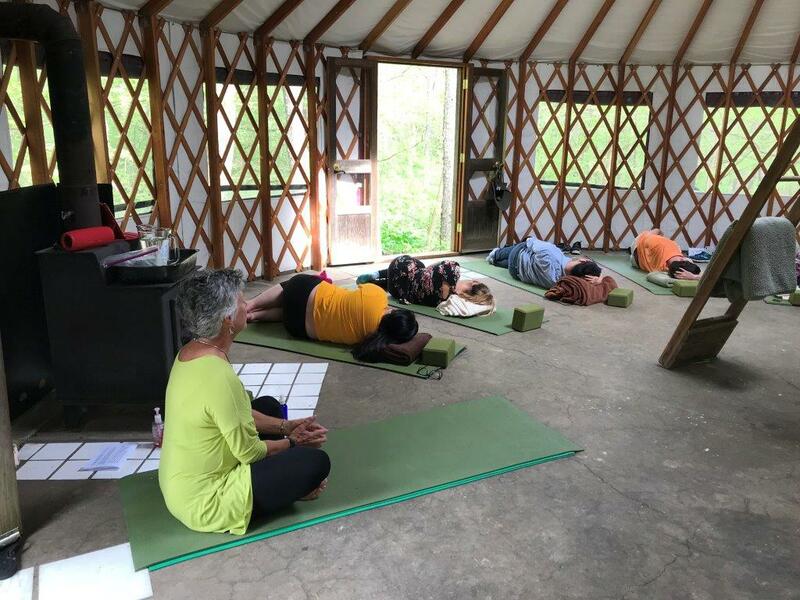 Various aromatherapy scents and calming music was used to enhance the low impact yoga and guided meditation, with modifications made for participants as needed. Following the yoga and guided meditation, we walked back to an outside area to enjoy a fruit smoothie made with farm-grown fruits and reflect on our day. Participants completed the five-question survey. All responses were very positive, with participants equipped with new skills in mindfulness and a multitude of new experiences to draw upon for centering. This was an outstanding experience for our residents, coordinators and program leadership. We would like to thank the POMA Foundation and the Mental Health Task Force for their financial support of this activity.